Isuzu Motors India has appointed a new dealership – ‘Sasya Automotives’ with the inauguration of its new 3S (Sales, Service and Spares) outlet in Anantapur, Andhra Pradesh. The facility becomes the 6th authorised outlet of ISUZU in the state, with others in Nellore, Rajahmundry, Tirupati, Vijayawada and Vishakhapatnam. Sasya Automotives will address the needs of customers in the region and offer seamless sales and service support for ISUZU vehicles. Customers purchasing ISUZU vehicles from this outlet are eligible for availing Motor Vehicle Tax exemption, applicable for ISUZU vehicles purchased in the state of Andhra Pradesh. 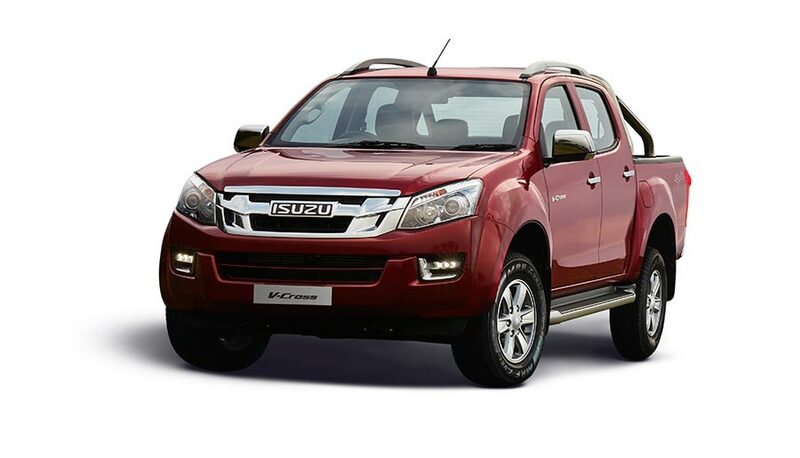 Isuzu Motors India launched the range of ISUZU D-MAX Pick-ups and ISUZU mu-X, a 7-seater, full-size SUV in the presence of the management officials from ISUZU, Sasya Automotives and early-bird customers to mark the start of sale from the new outlet. ISUZU vehicles are the pride of Andhra Pradesh, making significant inroads across the country, and more importantly in AP. With over 12,000 vehicles already delivering value to many customers in the country, we are keen to expand our reach to Tier-II & Tier-III cities, where we see a huge potential for the D-MAX range of Pick-ups. I strongly believe they will continue to enable and empower the growing Indian businessmen. We are happy to partner with ‘Sasya Automotives’ who will be representing the brand here and I wish the team best in their journey with us. Isuzu Motors India recently announced its association with Jonty Rhodes, an internationally known cricketing legend, to promote the lifestyle and adventure Pick-up – ISUZU D-MAX V-Cross in India. The company manufacturers the range of D-MAX and mu-X vehicles at its plant located in SriCity, Andhra Pradesh, operational since April 2016. Sasya Group has significant experience managing automobile businesses in the region for over 25 years. With a diverse business portfolio including retail and hospitality, the group has a strong reputation for trust and customer-centric approach in the region. The new 3S (Sales, Service & Spares) facility of ISUZU in Anantapur, spread over a total area of 5,400 sq.ft, has been designed and built according to ISUZU Dealership Standards and located so as to provide convenient access to customers. The dealership employees have been trained under the supervision of ISUZU personnel and will provide quality customer experience.